Abkhazian President Sergei Bagapsh ordered his nation’s navy to respond to Georgia’s forceful seizure of civilian ships in neutral waters, calling such actions what they are – piracy – by confronting and if need be sinking Georgian navy and coast guard vessels. The Georgian and navy and coast guard are trained by the United States and NATO. In attempting to enforce a naval blockade – the International Criminal Court plans to include blockades against coasts and ports in its list of acts of war this year  – against Abkhazia, the current Georgian regime of Mikheil Saakashvili is fully aware that Russia is compelled by treaty and national interests alike to respond. Having been roundly defeated in its last skirmish with Russia, the five-day war in August of last year, Tbilisi would never risk actions like its current ones without a guarantee of backing from the U.S. and NATO. Days after last year’s war ended then U.S. Senator and now Vice President Joseph Biden flew into the Georgian capital to pledge $1 billion in assistance to the nation, making Georgia the third largest recipient of American foreign aid after Egypt and Israel. The ongoing military integration of Georgia and neighboring Azerbaijan, which also borders Iran – Washington’s Georgetown University is holding a conference on Strategic Partnership between U.S. and Azerbaijan: Bilateral and Regional Criteria on September 18 – by the Pentagon and NATO is integrally connected with general military plans in the Black Sea and the Caucasus regions as a whole and, even more ominously, with joint war plans against Iran. The Pentagon has seven new bases altogether in Bulgaria and Romania and in addition to stationing warplanes – F-15s, F-16s and A-10 Thunderbolts – has 3,000-5,000 troops deployed in the two nations at any given time, and Washington established its Joint Task Force-East (JTF-East) permanent headquarters at the Mihail Kogalniceanu airbase in Romania. Added to bases and troops provided by Turkey and Georgia – and in the future Ukraine – the Bulgarian and Romanian sites are an integral component of plans by the U.S. and its allies to transform the Black Sea into NATO territory with only the Russian coastline not controlled by the Alliance. And that of newly independent Abkhazia, which makes control of that country so vital. With the recent change in government in the former Soviet republic of Moldova – the aftermath of this April’s violent “Twitter Revolution” – the new parliamentary speaker, Mihai Ghimpu, has openly spoken of the nation merging with, which is to say being absorbed by, neighboring Romania. Transdniester [the Pridnestrovian Moldovan Republic] broke away from Moldova in 1990 exactly because of the threat of being pulled into Romania and fighting ensued which cost the lives of some 1,500 persons. Romania is now a member of NATO and should civil war erupt in Moldova and/or fighting flare up between Moldova and Transdniester and Romania sends troops – all but a certainty – NATO can activate its Article 5 military clause to intervene. There are 1,200 Russian peacekeepers in Transdniester. Transdniester’s neighbor to its east is Ukraine, linked with Moldova through the U.S.-concocted GUAM (Georgia, Ukraine, Azerbaijan, Moldova) bloc, which has been collaborating in enforcing a land blockade against Transdniester. Ukraine’s President Viktor Yushchenko, whose poll ratings are currently in the low single digits, is hellbent on dragging his nation into NATO against overwhelming domestic opposition and can be counted on to attack Transdniester from the eastern end if a conflict breaks out. “Moldova’s ethnic minorities are categorically against unification with Romania. Indeed, the entire Black Sea and Caucasus regions could go up in flames if Western proxies in GUAM attack any of the so-called frozen conflict nations – Abkhazia and South Ossetia by Georgia, Nagorno Karabakh by Azerbaijan and Transdniester by Moldova and Ukraine. A likely possibility is that all four would be attacked simultaneously and in unison. The main Iranian nuclear reactor is being constructed at Bushehr and would be a main target of any U.S. and Israeli bombing and missile attacks. As of 2006 there were 3,700 Russian experts and technicians – and their families – living in the environs of the facility. “Some 1,000 U.S. European Command troops will soon deploy to Israel for a large-scale missile defense exercise with Israeli forces. “This year’s Juniper Cobra comes at a time of continued concern about Iran’s nuclear program, which will be the subject of talks in October. The same feature documented that this month’s exercise is the culmination of months of buildup. “In April, about 100 Europe-based personnel took part in a missile defense exercise that for the first time incorporated a U.S.-owned radar system, which was deployed to the country in October 2008. The U.S. X-Band radar is intended to give Israel early warning in the event of a missile launch from Iran. The same publication revealed two days earlier that the Pentagon conducted a large-scale counterinsurgency exercise with the 173rd Airborne Brigade and the 12th Combat Aviation Brigade last week in Germany, “the largest such exercise ever held by the U.S. military outside of the United States….”  The two units are scheduled for deployment to Afghanistan and Iraq, respectively, but could be diverted to Iran, which has borders with both nations, should need arise. What the role of Black Sea NATO states and clients could be in a multinational, multi-vectored assault on Iran was indicated in the aftermath of last year’s Georgian-Russian war. 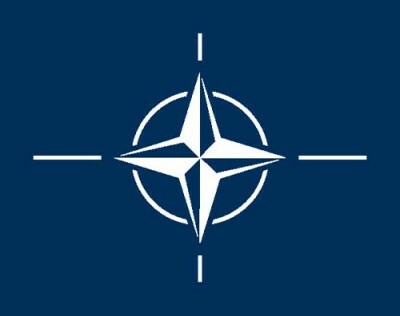 Rogozin was further quoted as saying, “What NATO is doing now in Georgia is restoring its ability to monitor its airspace, in other words restoring the whole locator system and an anti-missile defence system which were destroyed by Russian artillery. Council “described the U.S. and NATO policy of increasing their military presence in Eastern Europe as seeking strategic military superiority over Russia. “Russia’s military assertion in Georgia and a show of strength in parts of West Asia [Middle East], combined with domestic political and economic preoccupations in Washington, appear to have forestalled the chances of an immediate strike against Iran. Rather than viewing the wars of the past decade – against Yugoslavia, Afghanistan and Iraq – and the concomitant expansion of U.S. and NATO military presence inside all three countries and in several others on their peripheries as an unrelated series of events, the trend must be seen for what it is: A consistent and calculated strategy of employing each successive war zone as a launching pad for new aggression. The Pentagon has major military bases in Kosovo, in Afghanistan and in Iraq that it never intends to abandon. The U.S. and its NATO allies have bases in Bulgaria, Romania, Kyrgyzstan, Tajikistan, Uzbekistan, Kuwait, Bahrain (where the U.S. Navy’s 5th Fleet is headquartered) and other nations in the vicinity of the last ten years’ wars which can be used for the next ten – or twenty or thirty – years’ conflicts.